Healthcare providers are constantly looking for new ways to improve the lives of their patients and quality of their practices. As of late, much of these improvements have been made possible by the technological advancements in both the medical and science industries. 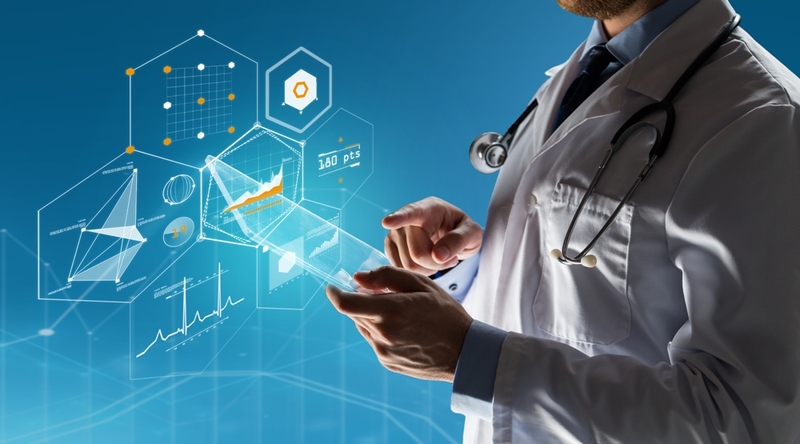 Innovative technologies, such as tests, applications, and improved treatment options have paved the way for medical practices to truly enrich and imrpove the lives of patients. Though there are plenty of advancements to speak on, one in particular, that is becoming increasingly popular amongs doctors and patients is DNA testing. DNA, short for Deoxyribonucleic Acid is a genetic material found in the cells of every living thing. Each person is born with unique genetic codes that help to connect them to their identity. Through years of research and advanced inventions, medical science and private practices such as YOURDNA are able to perform tests that breakdown the makeup of each person from their including their family history, ethnicity, and more. With a swab of saliva, strand of hair, or tube of blood, medical experts are able to learn a lot about you, your health, and how to best treat you. Research is underway on genetic testing and it’s ability to help provide better individualized treatment for cancer patients. New tests like mate-pair sequencing makes it easier for doctors to pinpoint defects that are linked to developing cancerous tumors. Knowing if a person has such disease causing genes can create the opportunity for medical professionals to create a specialized treatment plan to treat the problem. Individuals who are looking to have a deeper understanding of their health and risks for disease have an easier time as a result of DNA testing. In analyzing the genetic makeup of each person, these tests can reveal inheritied conditions that lead to serious diseases. As more individuals seek to learn about their heritage, these tests are becoming a lot more affordable and common. Adding the findings of a DNA test to annual health screenings essentially provides individuals and their doctors with a clearer idea on how to most effectively treat the problem before it becomes worse. DNA testing is now being referred to when it comes to prescribing medications to patients. With a full workup of a patient’s genetic makeup, doctors are able to prescribe medicine that is most compatible. The idea is to reduce the amount of side effects and find the chemical combination that is going to provide the most effective treatment. Turns out that the use of big data like DNA test results can be beneficial for more than just connecting family lineages and learning of ethnicities (though these are great reasons for its discovery as well). As more research is done and technology continues to advance and become more accessible, DNA testing has proven to be benefical in improving the lives of everyone. By using this information to create an authentic medical profile of their patients, doctors are able to provide a more individualized method of care that detects, prevents, and treats major diseases like diabetes, high blood pressure, Alzheimer’s, cancer, and more, therefore, giving their patients a better chance at a healthy life.